For people who want to achieve their dream smiles, there is no quicker and better way to do so than investing with cosmetic dentistry treatments. It is a branch that focuses on the improvement of the teeth’s appearance by correcting its form, spaces, slight misalignments, and more. For these dental woes, there is an ideal solution - Veneers! These are thin shell-like prostheses created to resemble the look of the natural teeth. It works by serving as a cover-up for the tooth’s enamel, hiding its imperfections. Wondering why most celebrities have a picture-ready smile? It may be due to cosmetic dental procedures like teeth whitening and of course, porcelain veneers. At Riverheart Family Dentistry, we believe that veneers can be the appropriate solution for most of our patients. And for them to get the most out of their enhanced smiles, we prepared some proper care tips! Teeth are not just for eating, they are also for speech and smiling but not for opening plastic packets or bottles. The habit is not only inappropriate for the natural teeth but most especially to dental veneers. Although a porcelain veneer is much durable than its other material counterparts, using it to bite on something hard is still not a good idea. Veneers may be artificial, but they still deserve the same attention as with the natural teeth. The poor practice of oral health care can lead to the development of various complications like gum disease which can compromise one’s overall dental wellness. It may even cause the veneer to chip or fall off due to the recession of the gums. Brushing, flossing, and rinsing habits may be simple, but most people still do these in the wrong way. For instance, they use any dental products without minding their ingredients. Toothpaste may have abrasive content that is not ideal for both the natural teeth and veneers. Watch out for products that have sodium bicarbonate and hydrogen peroxide which can cause the veneer to wear down or appear dull. Excessive consumption of alcoholic substances can cause the bonding material for veneers to soften over time. Although the veneer remains in place, its adhesive agent becomes more prone to discoloration and damage. A patient who grinds and clenches their teeth is more likely to have chipped veneer. Seeking professional attention to prevent the oral appliance from harming the teeth should be performed. Patients should still observe routine checkups and cleaning for the dentist to monitor the status of a patient’s teeth and overall oral health. Any complications that may potentially affect the veneers will be handled accordingly. Porcelain veneers can effectively correct teeth imperfections to improve the patients' appearance, confidence, and overall oral wellness. To maximize the benefits of veneers, patients should observe their proper care. Bring out your best smile with Porcelain Veneers in O’Fallon, MO, book your appointments with Riverheart Family Dentistry! 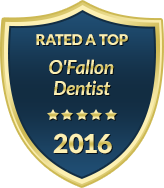 Call us to experience outstanding treatment in making your teeth more beautiful and healthy!